The new FXX collection was inspired by the colour and design of the high-performance prototype Ferrari FXX race car. 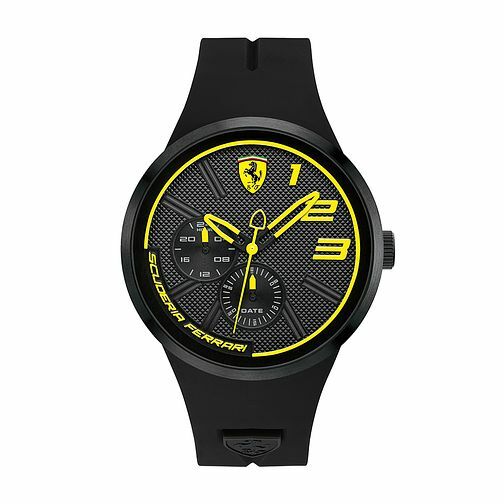 Featuring a 46mm black dial with yellow accents, including the signature Scudetto at the 12-o-clock mark, Scuderia Ferrari name and 1, 2, 3 hour markers. 24 hour time and date subdials are also presented, encased within a black ion plated case, and complete with a black silicone strap for comfort and style.